Aircraft landed and gear collapsed. 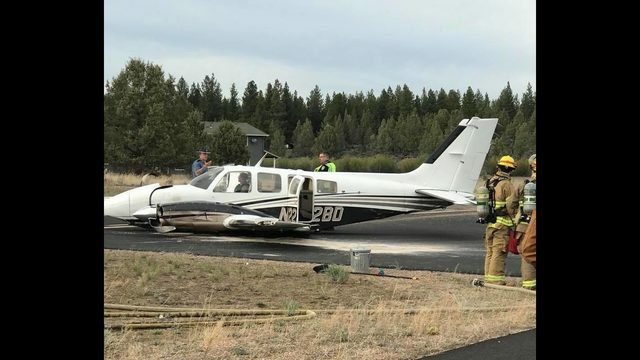 SISTERS, Ore. - Three people, including the owner of the Sisters Eagle Airport, escaped injury when their twin-engine plane hit a downdraft, dropped about 30 feet and crashed just short of the runway Friday evening while landing on a flight from Northern California, authorities said. Deschutes County sheriff’s deputies and Sisters-Camp Sherman medics responded shortly before 6 p.m. to the crash at the private airport on Barclay Drive, sheriff’s Sgt. Shawn Heierman said. 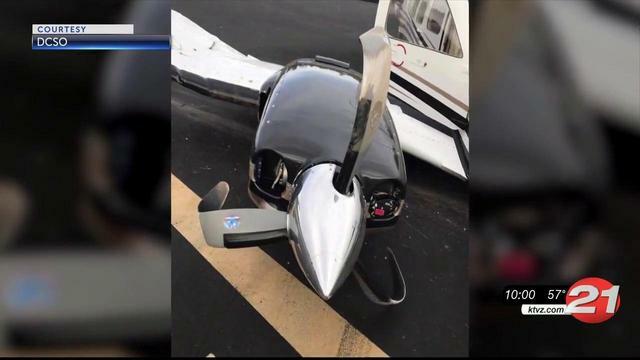 While Benjamin Benson and the other two occupants were uninjured, the 36-year-old Beechcraft 58P sustained extensive damage to a wing, the landing gear and propeller, Herman said. 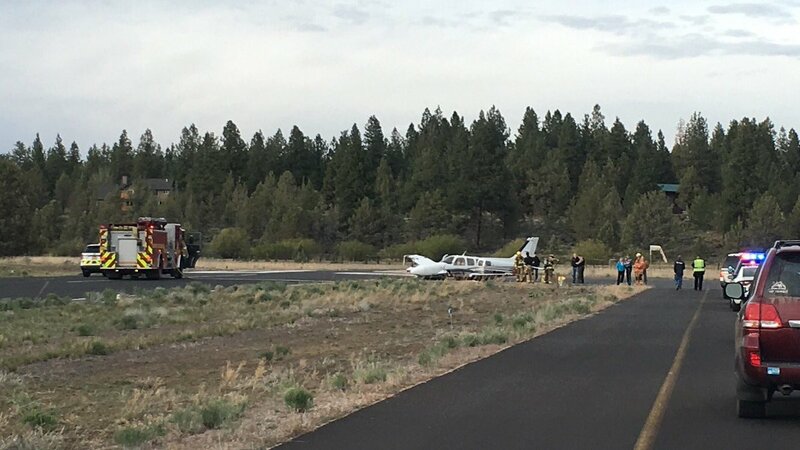 “On final approach, it hit a downdraft, lost lift, and he set it down pretty hard on approach to the runway,” Heierman said. One landing gear folded as the plane “skidded to a stop at the very end of the runway” on a flight from Napa, California. The plane appears to be a total loss, the sergeant added. The Federal Aviation Administration and National Transportation Safety Board will investigate the crash. Heierman said an FAA investigator is expected on scene Saturday.